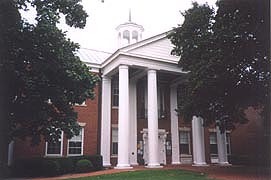 Office Location - The Register of Wills Office is located in the Calvert County Courthouse at 175 Main Street in Prince Frederick, Maryland. Take Rt. 3 South, which becomes Rt. 301, to Upper Marlboro, take Rt. 4 exit towards Prince Frederick. Turn left at Rt. 765 (Main Street) in Prince Frederick and follow to 175 Main Street. Courthouse is on right. OR Take Rt. 97 to Annapolis, turn right onto Rt. 488 and exit onto Rt. 2 towards Prince Frederick until Rt. 2 intersects with Rt. 4. Turn left onto Rt. 4 follow to Prince Frederick. Take left turn at Rt. 765 (Main Street) to 175 Main Street. Courthouse is on right. 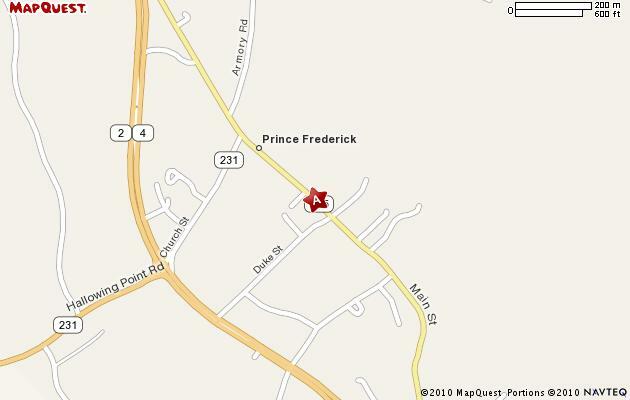 Follow Route 4 East (Pennsylvania Ave.) to Prince Frederick. Take left turn at Rt. 765 (Main Street) to 175 Main Street. Courthouse is on right. Take Rt. 2 South until it intersects with Rt. 4. Turn left onto Rt. 4 South towards Prince Frederick. Take left turn at Rt. 765 (Main Street) to 175 Main Street. Courthouse is on right. 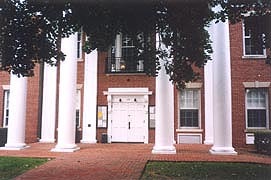 Free parking is available in front, behind and beside the Courthouse on Duke Street. However, parking is limited. Overflow parking is available on Main Street at the County Services Plaza located approximately one block from Courthouse.